> Ruckus Wireless > With technology, we work at super speed. So why shouldn’t your Wi-Fi? With Ruckus Cloud Wi-Fi, you get better, more consistent performance for end users. Ruckus access points have been proven to support 30-50% more clients without a performance penalty. 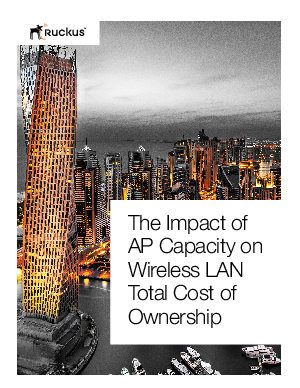 Choose high performance, high density-capable access points that lower your total cost of ownership, now and in the long-term.